Is it possible to recover lost contacts, messages, photos or other data from a Samsung phone? This could be the most frequently asked question by Samsung or other Android users. Obviously, the answer is YES, BUT without a reliable yet good performanced data recovery for Samsung or other phones, your lost data may be gone forever. Alarmist? Actually, we have tested hundreds of phones and try to rescue lost data in various situations. Finally, we have proved that the sooner you take actions of recovery, the higher success rate you'll own. And during the process, a good performance, reliable yet professional Samsung Data Recovery software can greatly improve the efficiency and save your time. So we write this post to offer you several nice options while you're looking for the best Samsung recovery program. 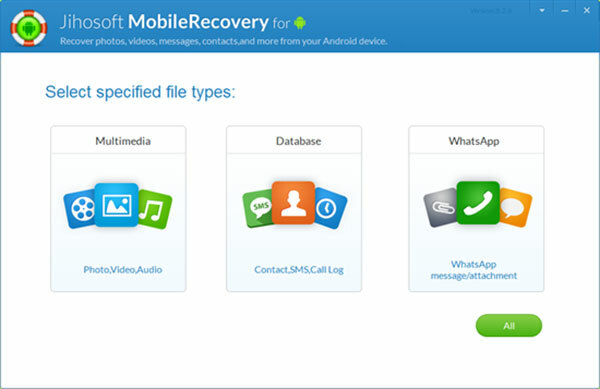 There are 5 different Data Recovery program for Samsung users, all of them have gained nice reputations in the market. Today's post will analyze these tools one by one with their main features, pros and cons. So that you can easily pick up the one which can completely satisfy your needs. 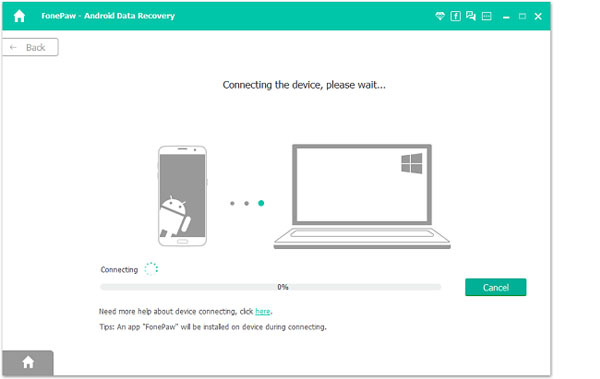 Rather than following a tedious procedure to recover deleted or lost data from Samsung Galaxy Note or S9/8/7/6/5, it is very easy to use iSkysoft Toolbox - Android Data Recovery to perform data recovery on your Samsung phones. You only need to connect Samsung devices to the compter, scan for files, then everything will be found back soon. Sounds great, right? Recover deleted files from internal storage and SD Card: This data recovery tool allows recovering data from both internal storage and SD card and help you to recover only the important data. Clean and Easy to Use: The impressive and attractive interface makes the whole process is extremely easy for every users. And it is also 100% clean. 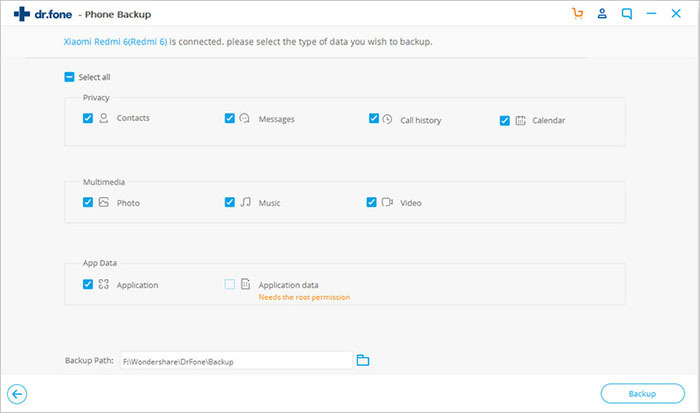 Recover data quickly: All data on your Samsung like photos, videos, contacts, messages, documents, WhatsApp, etc. can be found and retrieved at the shortest time. Preview files before recovering: This tool allows you to scan all your lost files allow you to select and preview the selected files. Support wide range of devices: Almost all popular Android devices are supported by this handy tool, such as Samsung, HTC, Motorola, LG, Sony, and so on. First and foremost, use a USB cable data to connect the Samsung phone the computer. Ensure that you have checked the "USB Debugging" on your phone. Go to "Setting> Applications" and click on "Developments" and mark "USB debugging". To debug differs from Android version to another. The program will then detect your Samsung phone on the computer and then give you the instruction on the program's interface. Now sit back and wait for this Samsung Data recovery software to scan and recover the lost files. Depending on the size of files and mode it may take a bit longer than expected. When the process is done click on each file type to preview what has been retrieved. The final thing to do is to mark them all and click on "Recover" button. If you wish to perform the mode of Android SD Card Data Recovery, here is a full guide for your reference: [Definitive Guide] How to Recover Deleted Photos from Android SD Card. Sounds great? 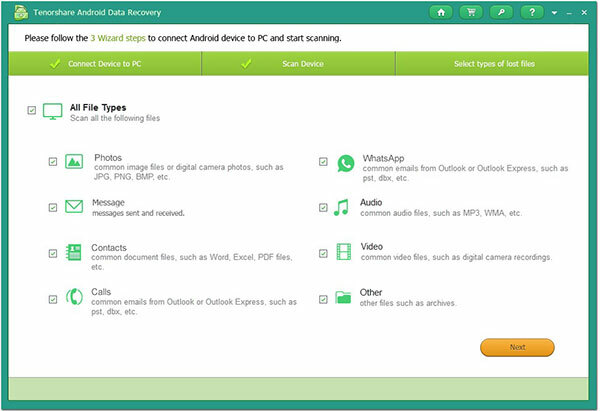 Click the below icon to get this powerful Samsung Galaxy Data Recovery on your Windows or Mac computer, and begin your own recovery journey on Samsung devices. 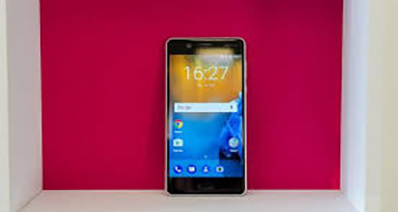 This recommend Android Data Recovery comes from Fonepaw, which have gained great reputation of their high success rate and functions upgrade among their users. 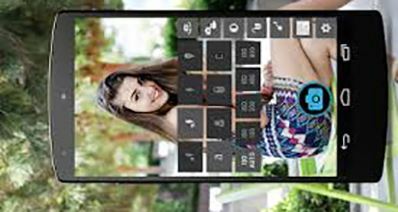 Similar to iSkysoft Toolbox, this tool also supports contacts, messages, call logs, media files, documents, Whatsapp messages on all kinds of Android devices. Therefore, no matter which kinds of model you're using, this program can help you deal with all kinds of data losing issues within few clicks. However, the design of Fonepaw is a little bit complex, and you may don't know how to do it when you're a novice. What's more, the registration also divided into 3 different tabs, which may result in lots of comfusion during your recovery journey. 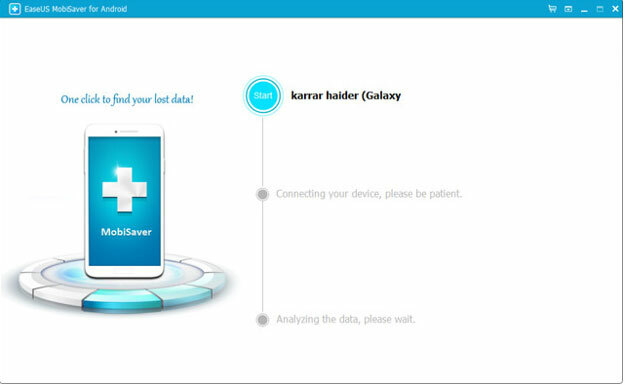 EaseUS MobiSaver is a free Samsung data recovery software that can retrieve the data back from various scenarios such as OS errors, improper handling, device failure etc. But it doesn't provide techinial support or lifetime upgrade to users with free version. Thus, if you want to keep it on your desktop computer for daily tool, you need to upgrade to a pro version with a price of $39.95. What's more, this program only supports 6 types of files on your device, including contacts, messages, photos, videos, audio and documents. Compare to other Samsung Data Recovery program, this tool cannot satisfy all your data restoring needs. But the freeware could be a nice option when you only need to find one or two single data on Samsung. 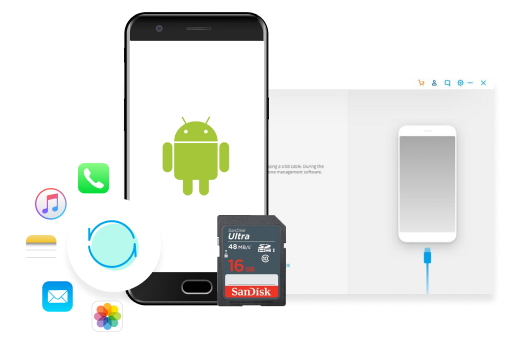 This recommend Android Data Recovery comes from Jihosoft, which aims to help all Android users to retrieve lost data on Android phone or tablet in the simplest way. So it can works well on your Samsung devices. 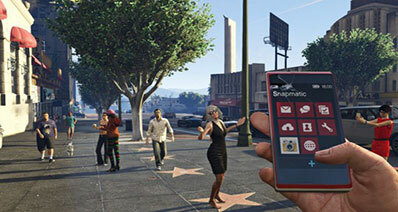 It allows users to selectively restore data from internal as well as external memory. It is a highly secured software as it doesn't perform any online or background activity during the whole process. 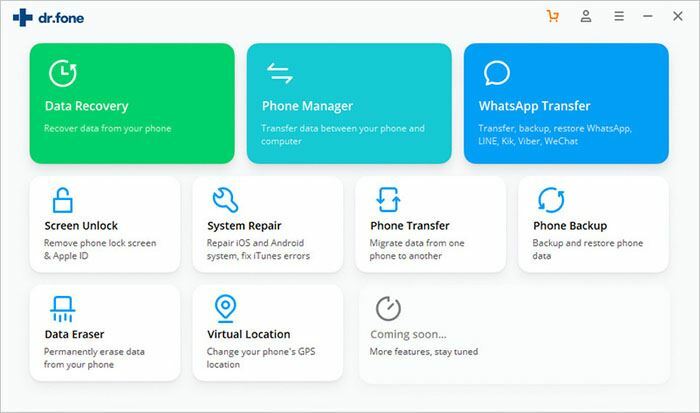 Recently, this program have re-designed and updated by their technical team, and now it can supports 9 different file types, such as contacts, call history, messages, photos, videos, audio, Whatsapp messages, Viber and documents. So you can more easily access to your phone's internal memory and find your lost data on Samsung devices. Tenorshare is one of the few Samsung data recovery software that has a support for all the Android OS versions available i.e. OS version 1.5 to 7.0. It can recover almost all file types just like any other recovery software, but it does require root privileges in some specific mobile models. So make sure to check your device's requirement on their website before buying the software. For every users, Tenorshare will provide professional customer support to guide all of you to handle this program easily. And the UI design also makes you feel comfortable during the whole process. However, in our test, this program will spend too much time on scanning than other similar tools in this top list. That's the programs I wish to recommend to you, and now it's your turn! And I want to know which program are you ready to try first? Or do you find the best option after reading the above contents? If you have made a decision, please let me know by leaving a quick comment in the comment section. And if you are still hesitating, let begin your recovery journey with the best Samsung Data Recovery - iSkysoft Toolbox. Tenorshare Android Data Recovery not Working? Let's Fix It!